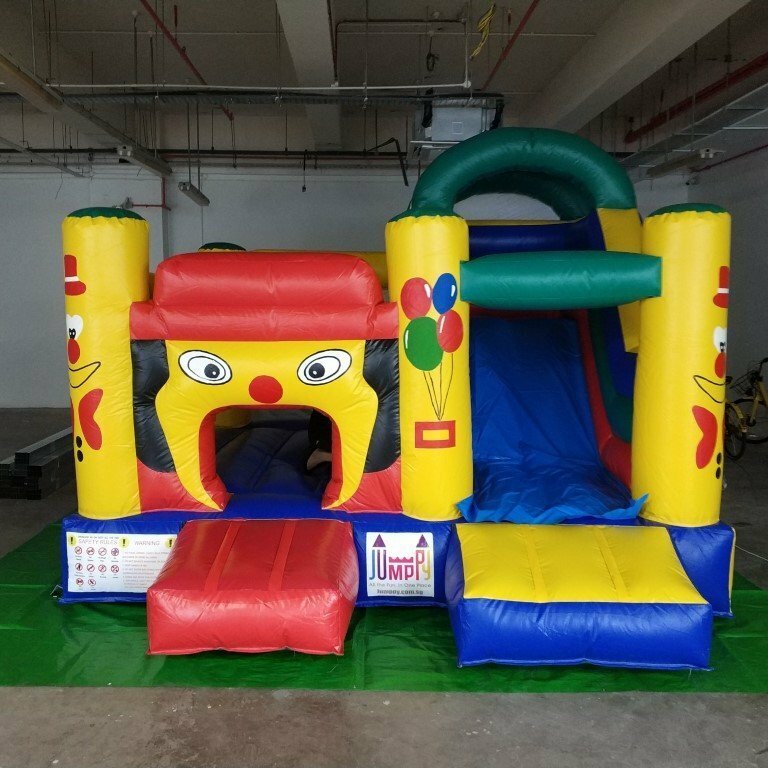 Need something even larger? 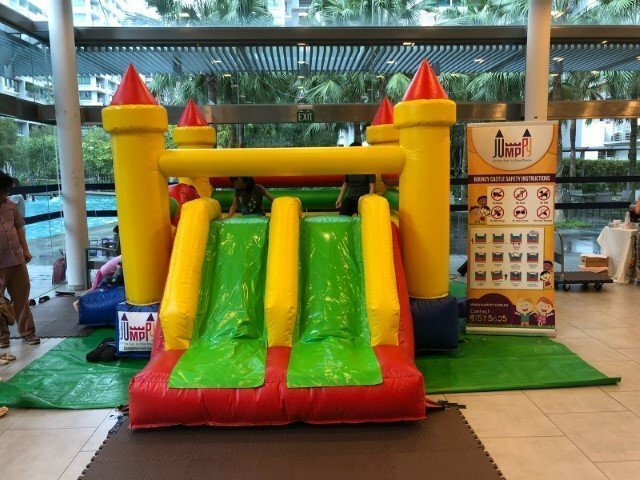 You can’t go wrong with ‘Double the Fun’ Castle. 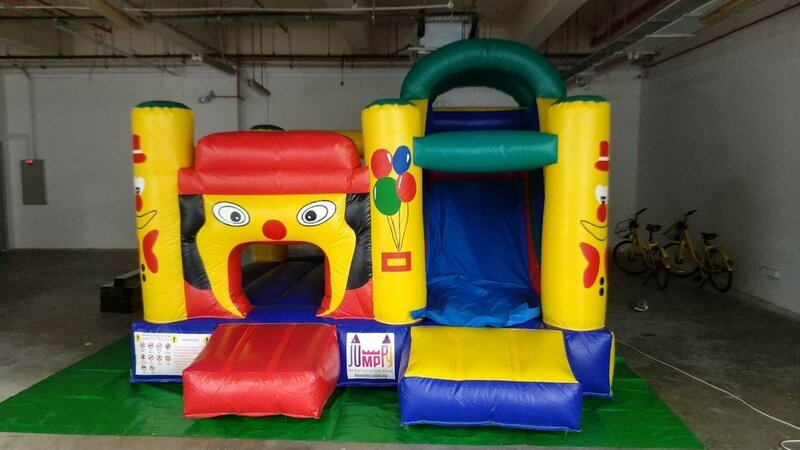 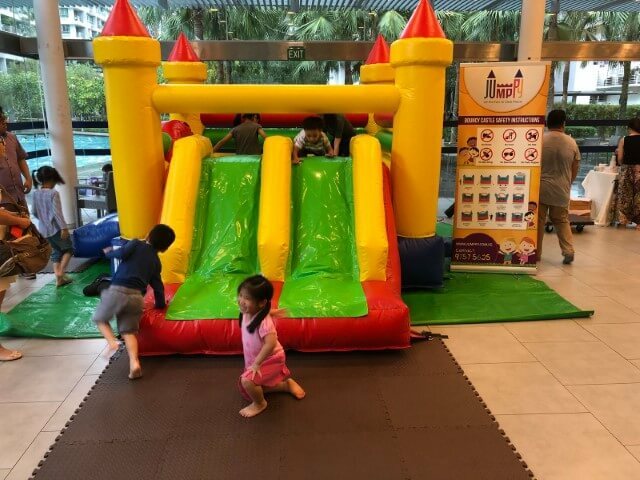 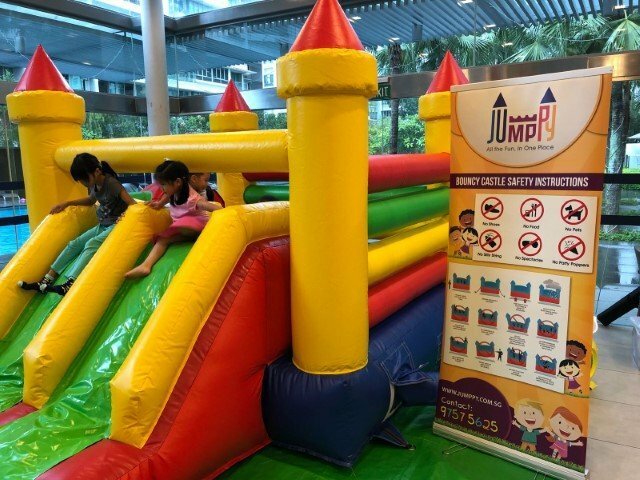 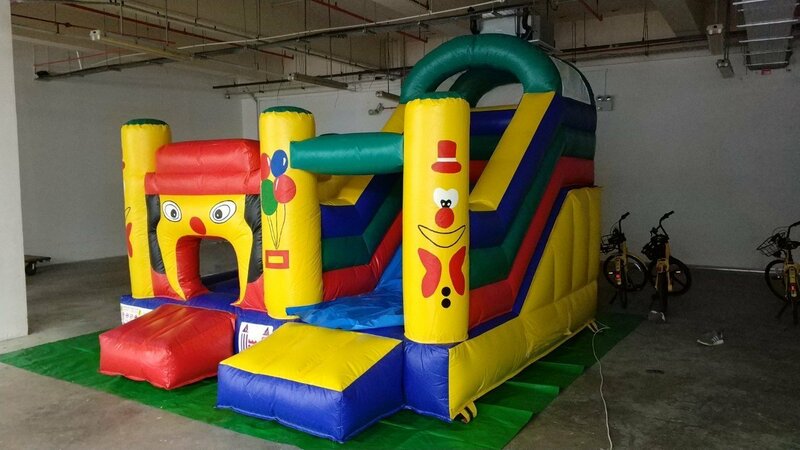 Suitable for up to 8 kids, equipped with 2 slides, more kids can get to play inside the castle with their friends and cousin at the same time. 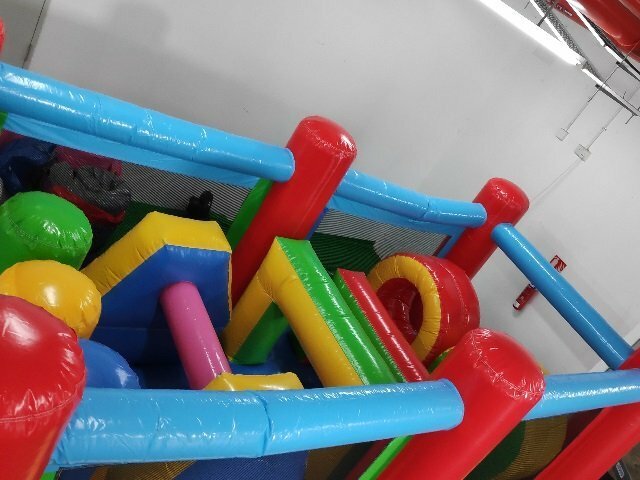 Our largest castle currently. 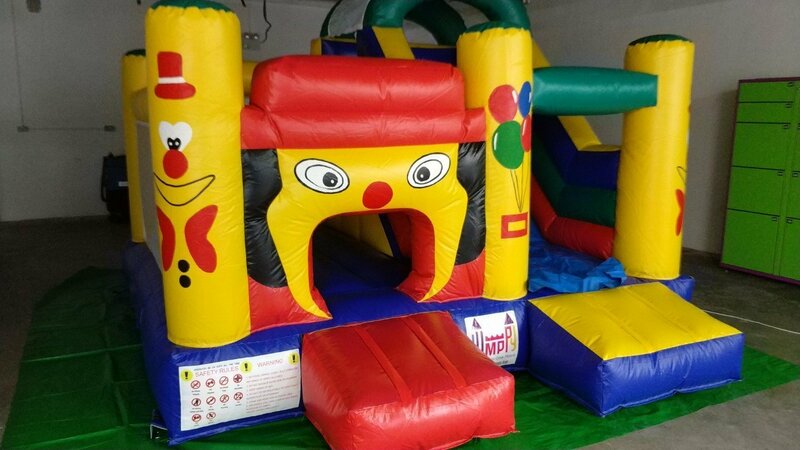 Suitable up to 10 kids at any point of time. 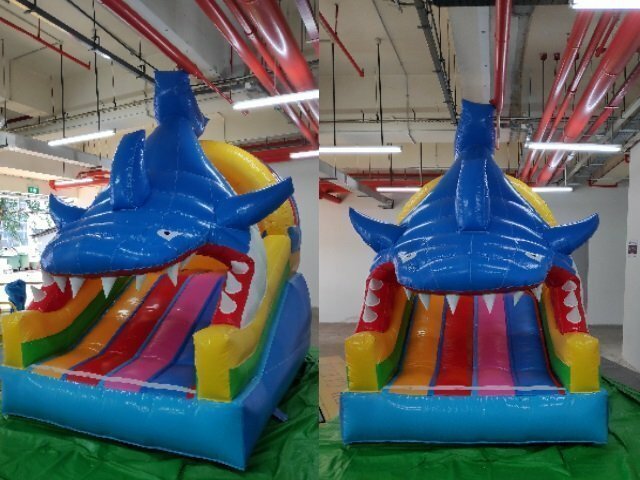 Shark Attack without the danger, where else to find?